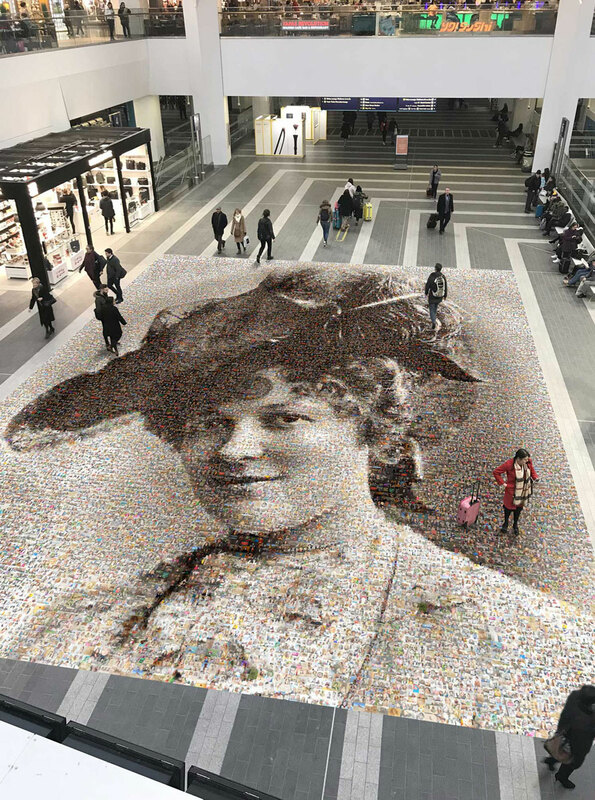 The ‘Face of Suffrage’ artwork, a floor-based, 200 metre-square photo mosaic, is made up of more than 3,700 images of females from across the West Midlands and beyond. When viewed from above, it shows Hilda Burkitt, a leading face from the suffrage movement in the West Midlands. 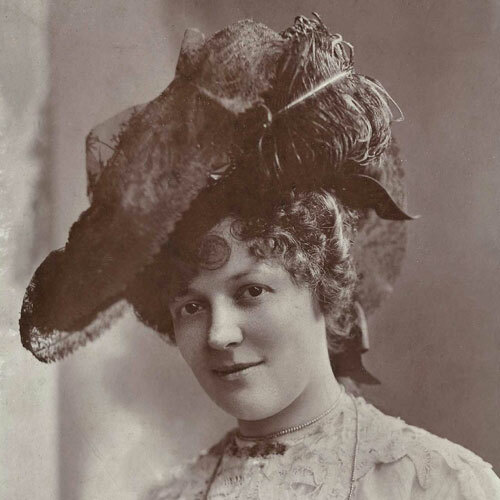 Evaline Hilda Burkitt was the first suffragette to be forcibly fed – a total of 292 times. She had a job at the Birmingham WSPU (Women’s Social and Political Union) headquarters, near New Street station, and threw a stone at Prime Minister Asquith’s train as it pulled away, soon after he attended a male-only budget meeting. She was then imprisoned at Winson Green prison. 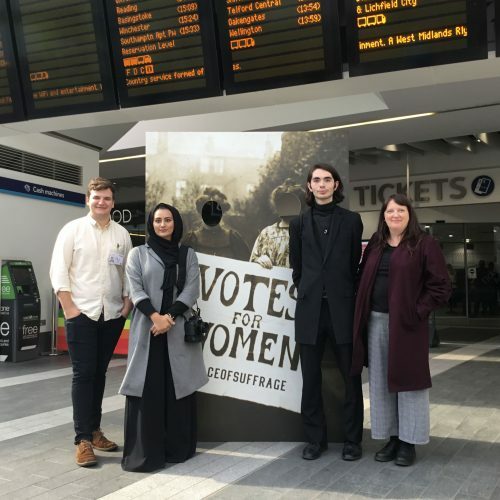 The image is made up of a combination of historical pictures of women involved in the suffragette movement from the West Midlands in the early 1900s and of females today using photographs submitted by the public be part of the commemoration. The artwork was on display until 14th December – 100 years since some women voted for the first time.  A project by The People’s Picture, co-produced by GRAIN, with the support of Network Rail, Arts Council England, CrossCountry Rail and Heritage Lottery Fund made possible by National lottery players. 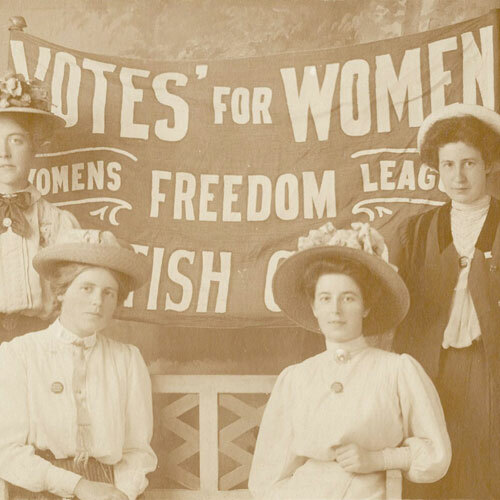 In 1918, the Representation of the People Act gave some British women the right to vote and stand for public office for the first time. 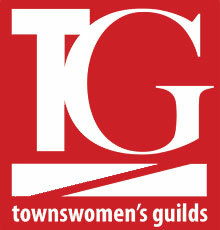 One hundred years on, we invited women and girls across the region and beyond to mark this historic moment as part of a living visual portrait of women in the 21st century. The Face of Suffrage – Installation Timelapse – by Video Vandal – Darren from Helen Marshall on Vimeo. 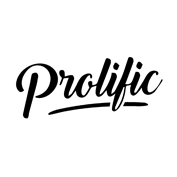 Read reviews and news about The Face of Suffrage artwork and the amazing process that lead to its creation.